This map is a 97% puzzle map. 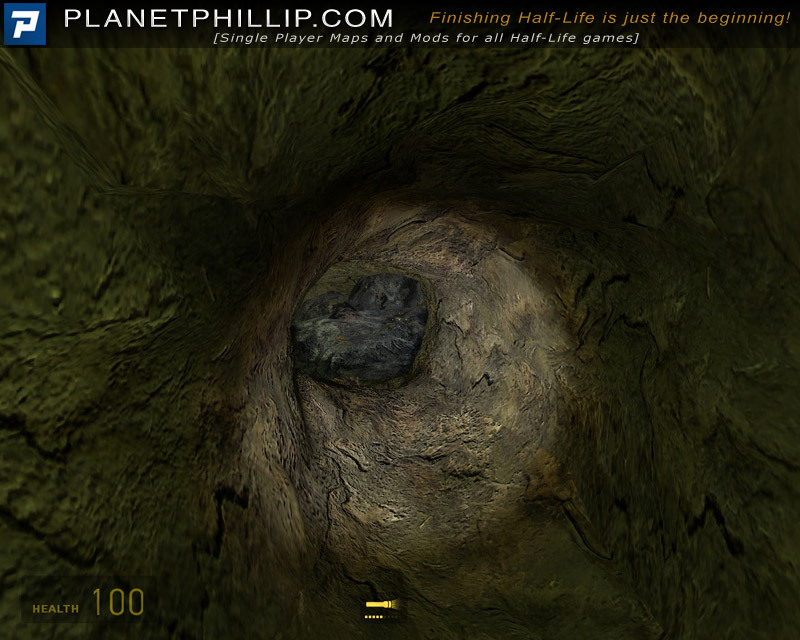 You simply need to solve the puzzles to progress. Set mostly indoors, you will find most puzzles straight forward but some may have you scratching your head. 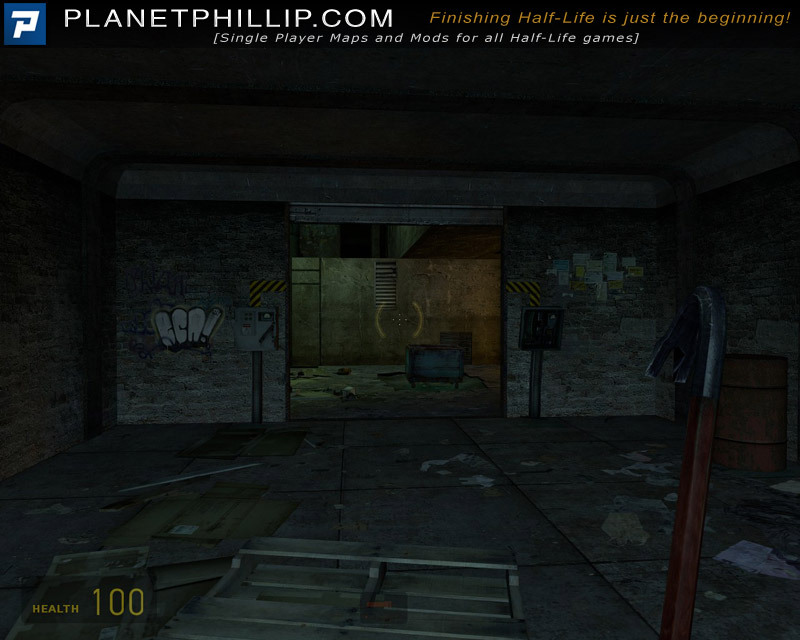 Copy gm_cooldiradical.bsp into your Half-Life 2: Episode Two Maps folder. Open the console and type map gm_cooldiradical. Making comparisons is a natural thing. We all do it, in all parts of our lives. Was Ali better than Mike, Is this car better/faster/more expensive than that one, who would win a fight between Batman and Freeman etc etc. 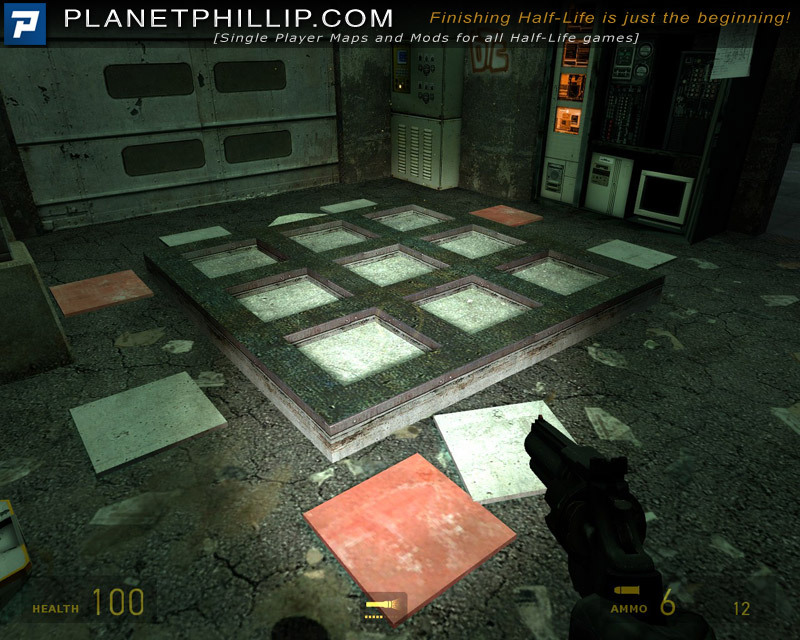 Well, with the release of Research and Development all puzzle mods, heck even all puzzles, will be compared to that. In some ways that’s good because it may make puzzle makers try harder and it’s bad because not everybody can make a sensational puzzle. 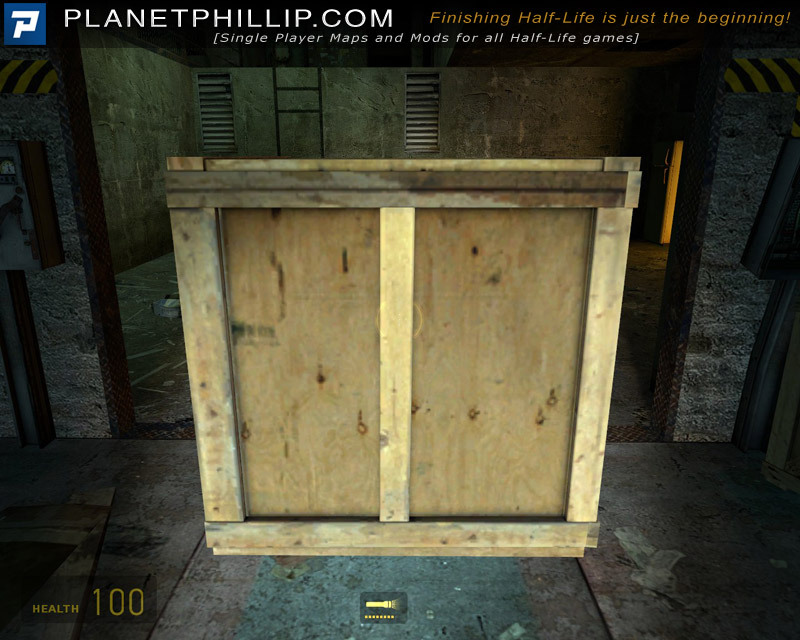 Cooldiradical does a fair job of creating puzzle but fails to intergrate them into the setting. Placing coloured tiles into the correct patterns is ok but why exactly am I doing it? The initial outside area is nice, but the rooms section seem a little strange. As did the two buildings outside. Once inside things get a little more detailed and I don’t remember noticing anything too weird. That said, the collection of rooms don’t reeally flow into a believable setting but that’s strongly connected with my comment about the mods intergrating into the setting. Puzzles. 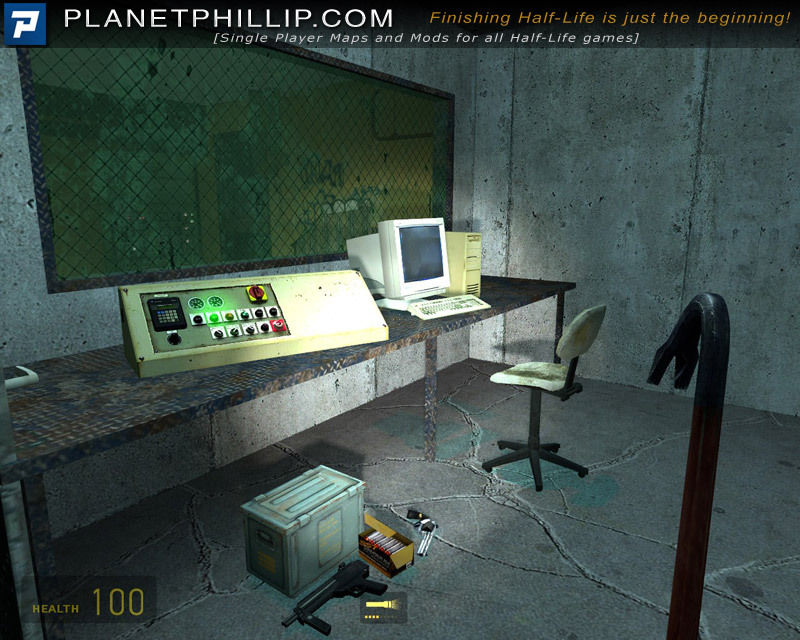 You get to fight a few Combine Soldiers and Manhacks but that’s it, the rest is puzzles. 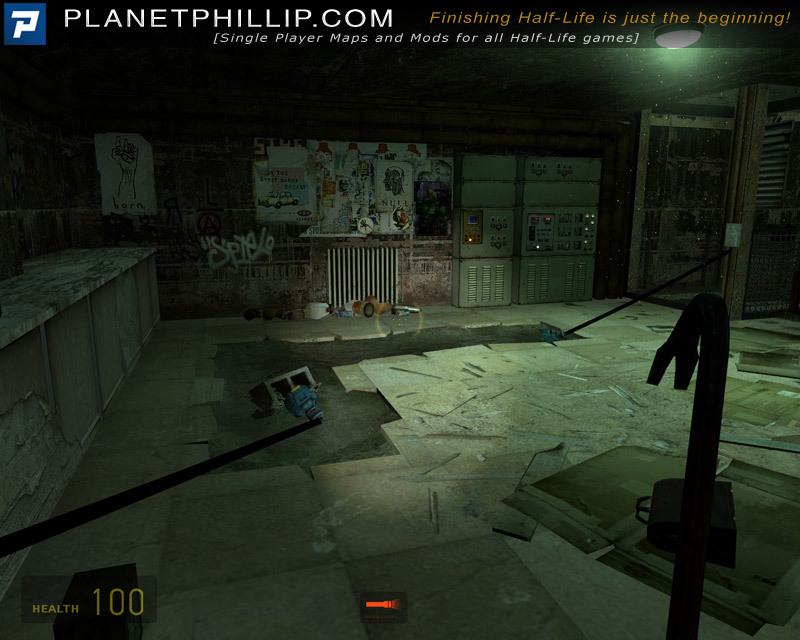 Making a pouzzle mod with puzzles that fit the setting is perhaps the hardest thing to do. Putting that aside the author give enough variety to have you wondering what it around the next corner or through the next door. I would have like some more outdoor sections but that’s a personal preference, rather than a direct criticsm. 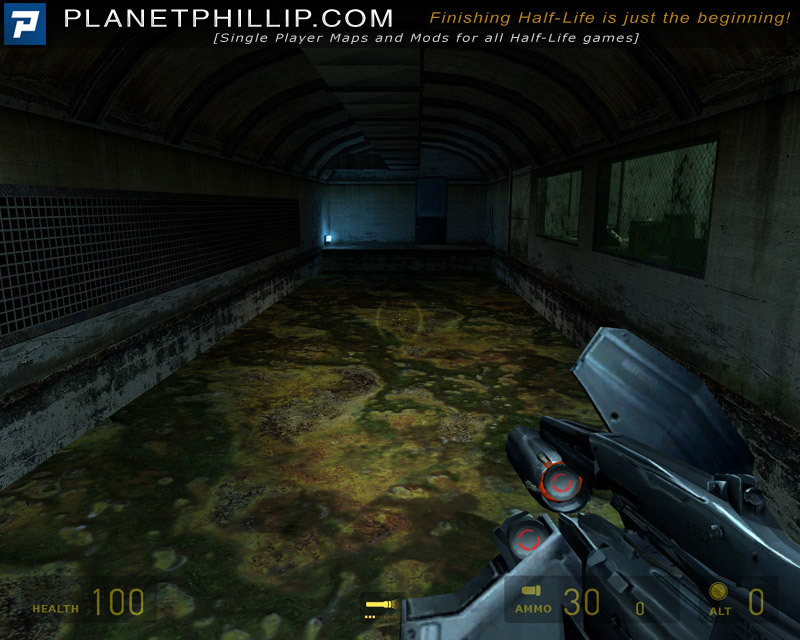 Whilst it’s not the best mod you will play it’s certainly better than a lot of the drivel released. 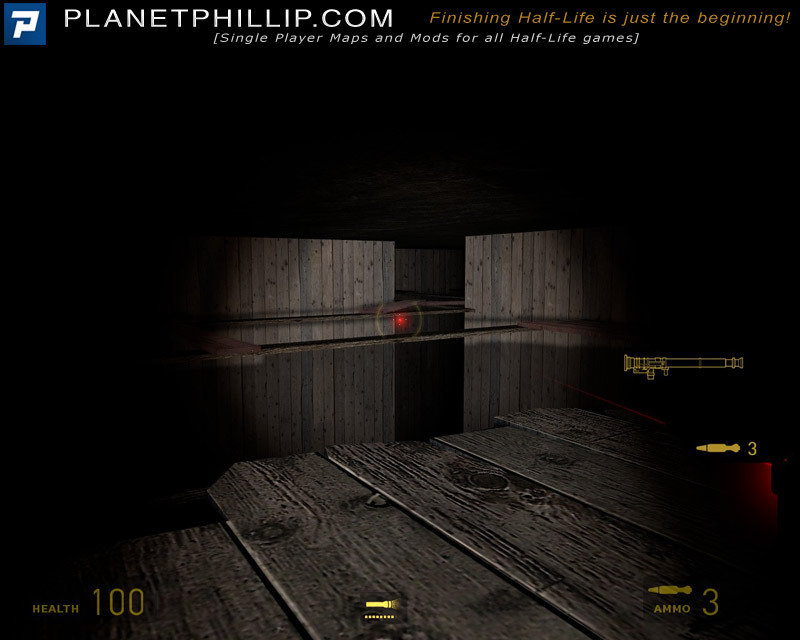 Accept that there’s little shooting and the puzzles don’t make any sense and you may have fun. Look for something with meaning and you won’t find it here. Quite liked it. Not a pin for sure but I think most gamers will enjoy most of it. Pity that the puzzles and combat are not more evenly sprinkled to keep the attention of the fighting gamer. This starts quietly, then explodes with a good combat sequence. After that it’s mostly problem solving. One wonders why we are so grossly equipped with ordinance with nothing much to do with it. Jasper, that’s a good point about the weapons. I wonder if it’s a “left over” from a development cycle when the map had more combat. Also, I only have three recommendation images (Play It!, Maybe and Avoid It!) and I felt it was definitely better than a Maybe. I thought it was alright. 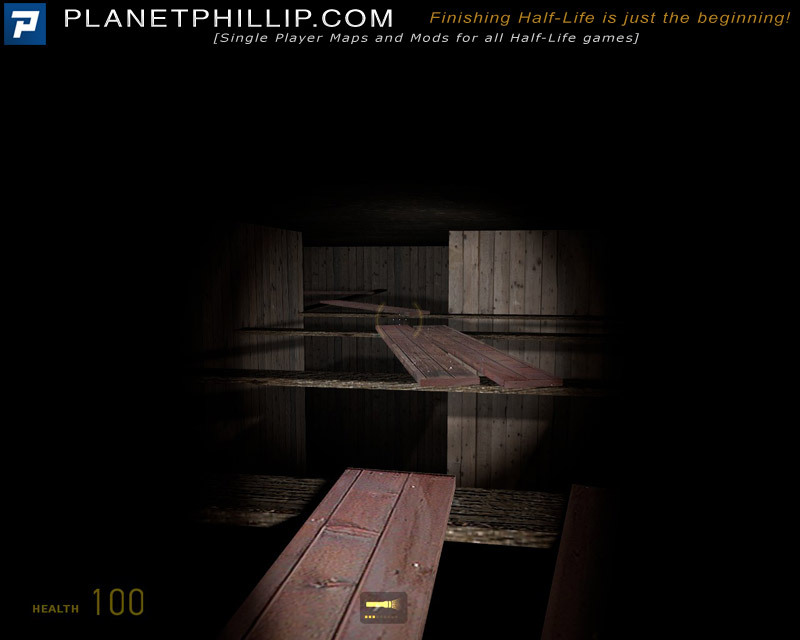 I had a feeling that this was made as an action level before being converted into a puzzle map. That might explain why the ammunition is spread all over the map. The puzzles themselves were ok. I needed to reload once when (incoming spoiler): you needed to use the manhack to cut the rope. I killed him and couldn’t find another way to cut it. Hence the reload. (End Spoiler). Overall it was enjoyable but it’s not a map I would tell someone to rush to play. 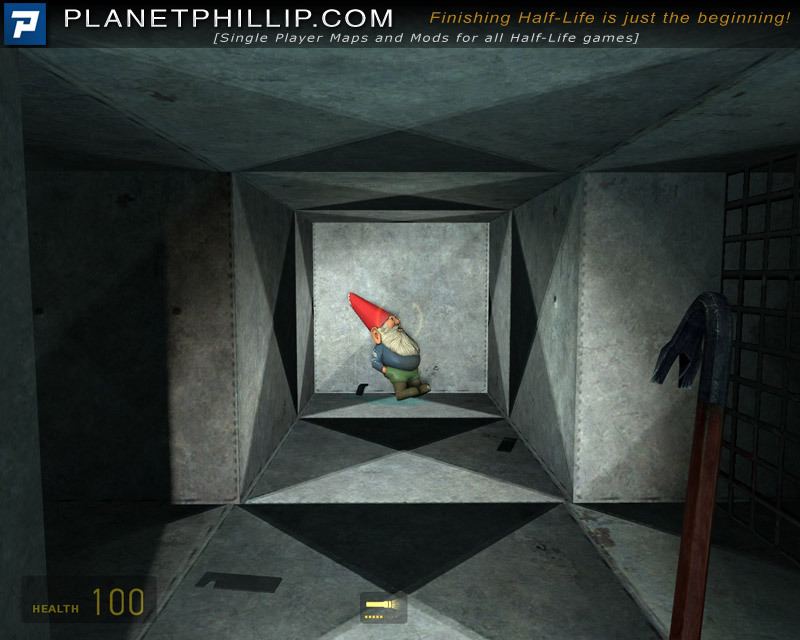 Did anyone else find the gnome hidden? What was the purpose of it? I didn’t use a manhack to cut the rope but an axe I found a few metres away. I also found the gnome but don’t know if it was used for anything. I curious now to see what the easter egg is with the gnome. Mmmmm, sounds like I’ll have to go back and carry it to the end too. Thanks for the tip. 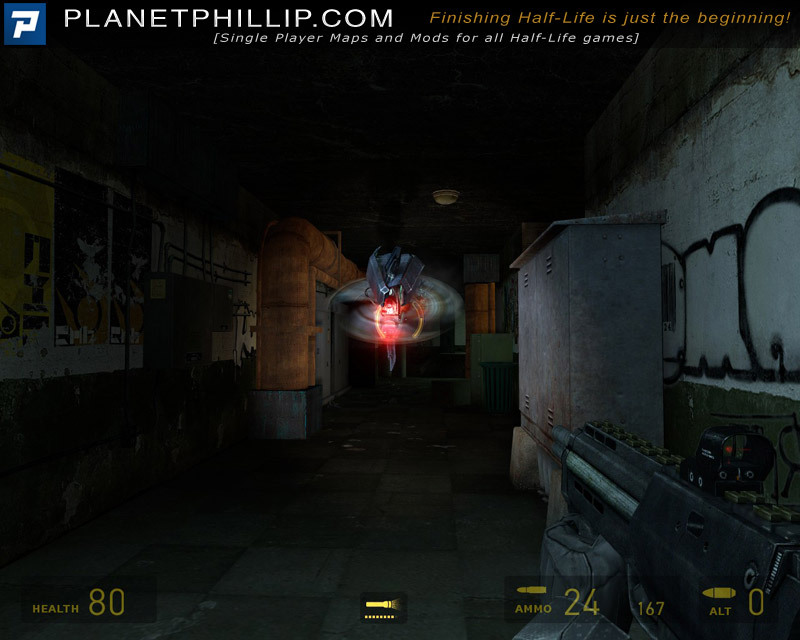 I have a problem with this mod, it violates a basic rule in playing hl2 – the illusion of an objective physical world. 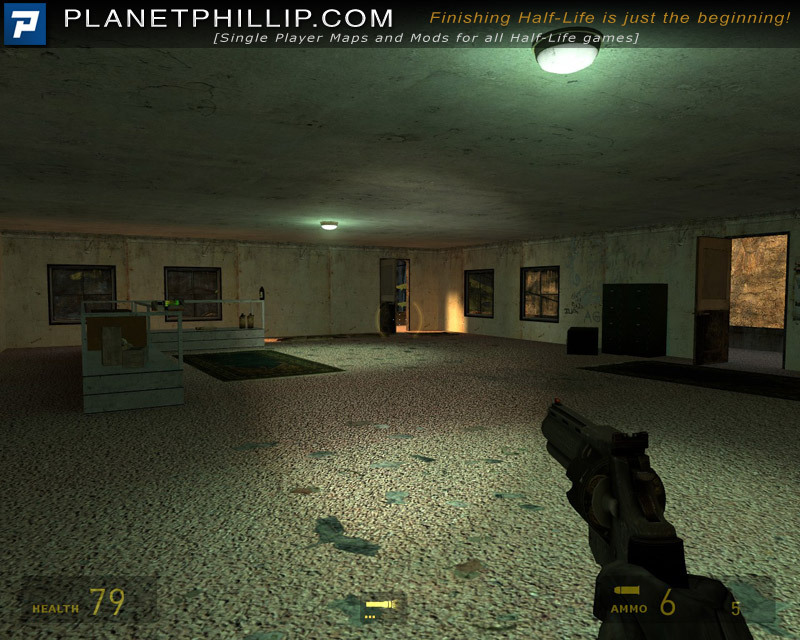 namely the room in picture 14 (right after using the rpg). 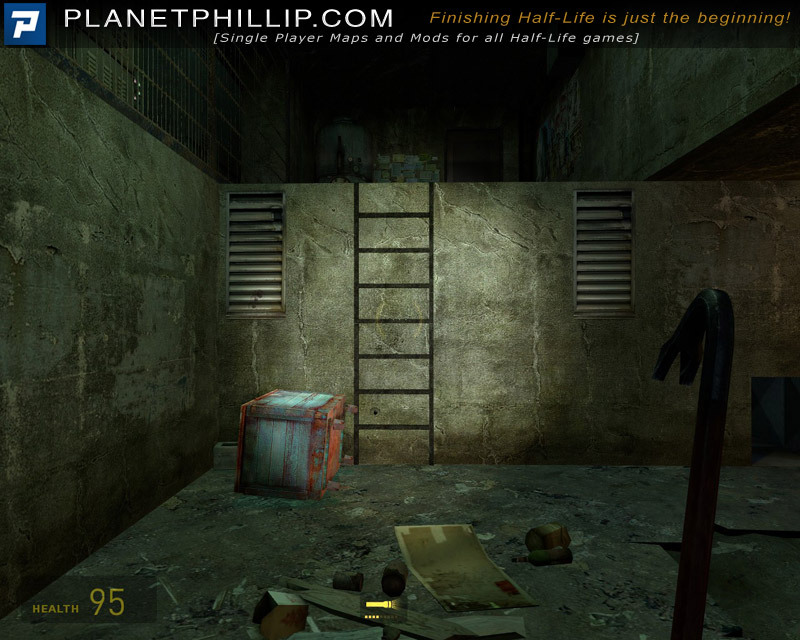 when picking up boxes and barrels from the previous room to use at the broken ladder, they disappear when entering the room. this a annoying bug that forces you to noclip past. ruins the mood. Has anyone else had to nolcip past this point? I meant to mention that disappearing thing but forgot. You don’t need to noclip past this section becasue the solution is in the room already. I also don’t think it’s a bug, but the author could have designed the area better. Yah, sorry bout that. Played it again, and agree its pretty good mod. No bugs, except in my head. I just assumed that the big boxes there were suppose to be used to get up the ladder. dohh! 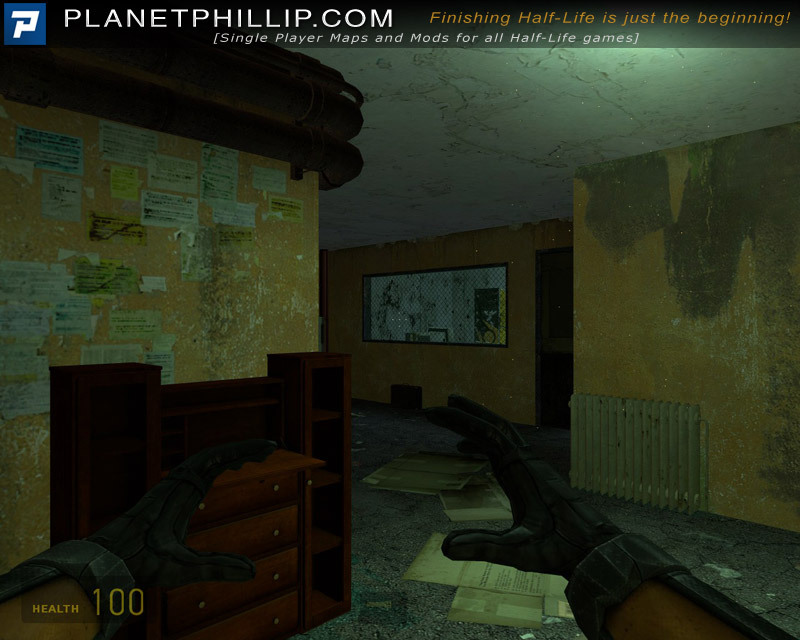 Very nice map, especially it was quite long for beeing a single map. The puzzles were nearly all good, but I heavily don’t like how they are just random ideas. Why are suddenly cubes coming out of the poisoned water and why are they disappearing again? Why do my boxes disappear when I walk in another room? 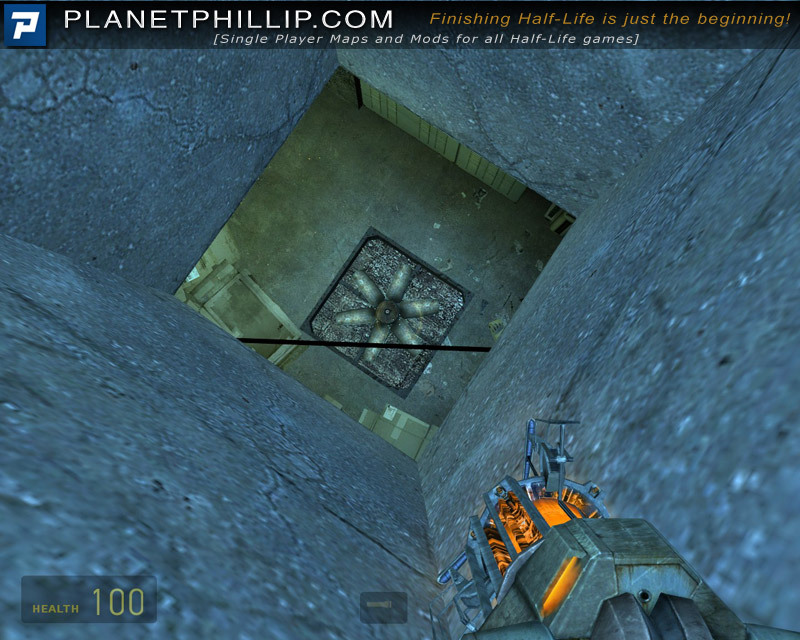 Why is there a ladder in a ventilation shaft? 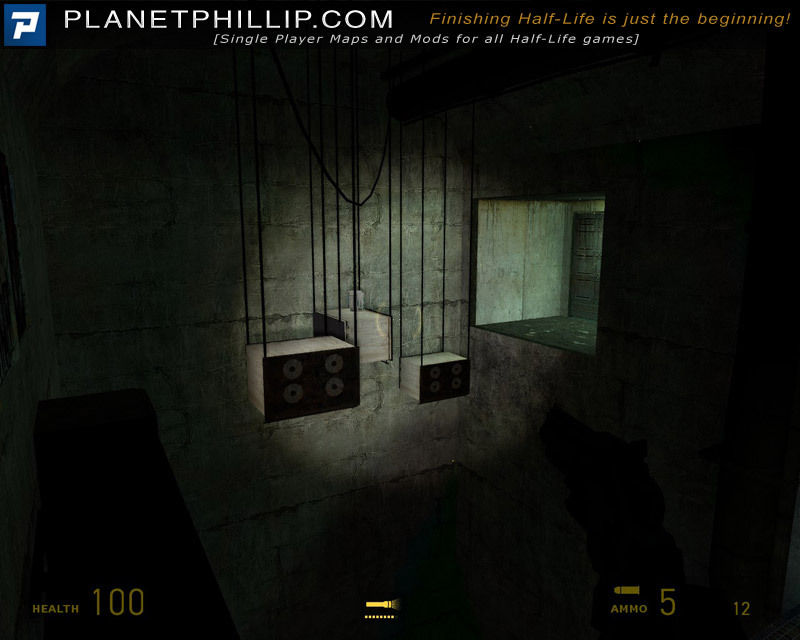 Why are there coolers hanging on their cables at the ceiling? And many more things like that. But if you ignore the logic of those things, you get an entertaining and funny map. Also the indoor settings were suberb! 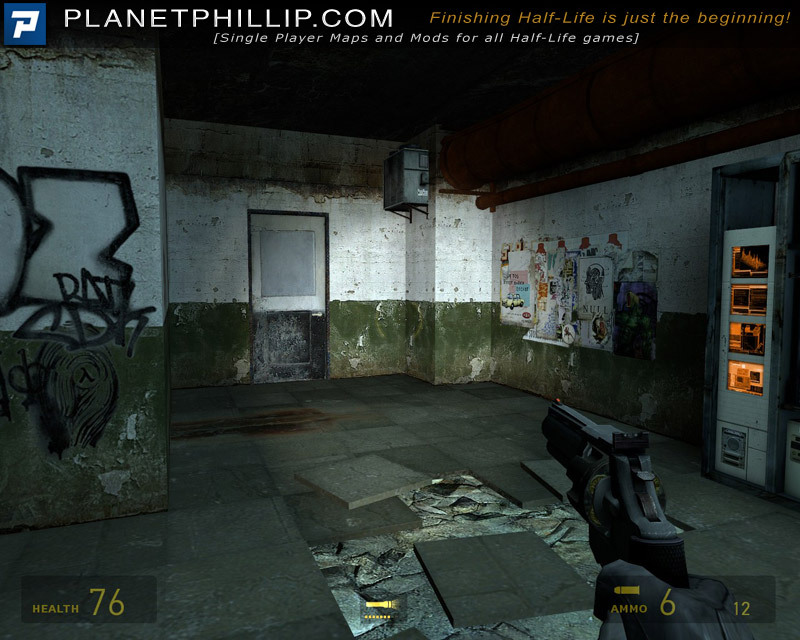 That’s how Slums2 should look! For a puzzle map I enjoyed this one, maybe due to the fact that I could work out the puzzles without going mad, plus it was not too long so I did not get bored with the limited gameplay. I am the author of this map. Just today I learned that my map has been posted on this website. Yeah, I am quite aware that the puzzles don’t make any sense and neither do many of the locations. 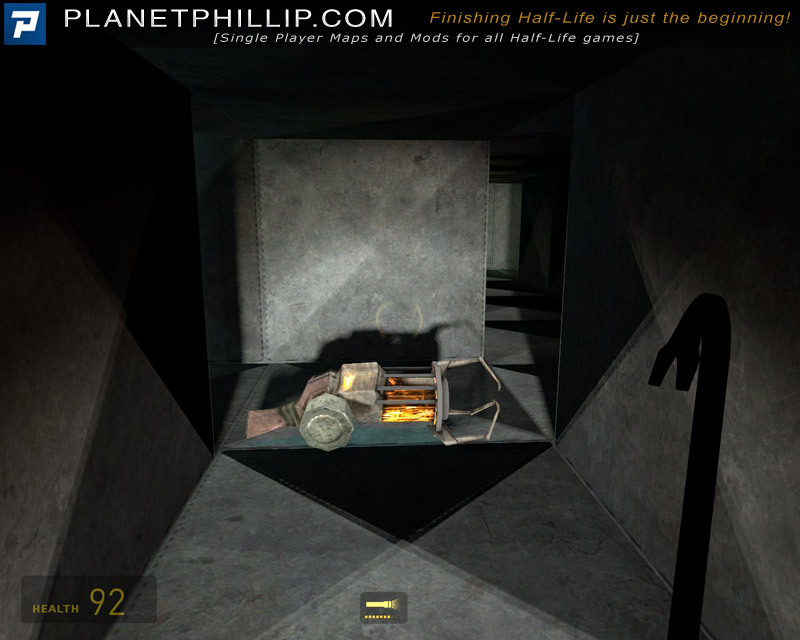 (especially that place where the player has to hop around on pipes and stoves and other things) Maybe I should start giving a bit more attention to whether things make sense or not. Just maybe. I’m glad that the map is getting overall positive feedback, though. Thanks. Don’t be too hard on yourself. Short maps like this often suffer from “not making sense”, simply becasue you are just putting things together. 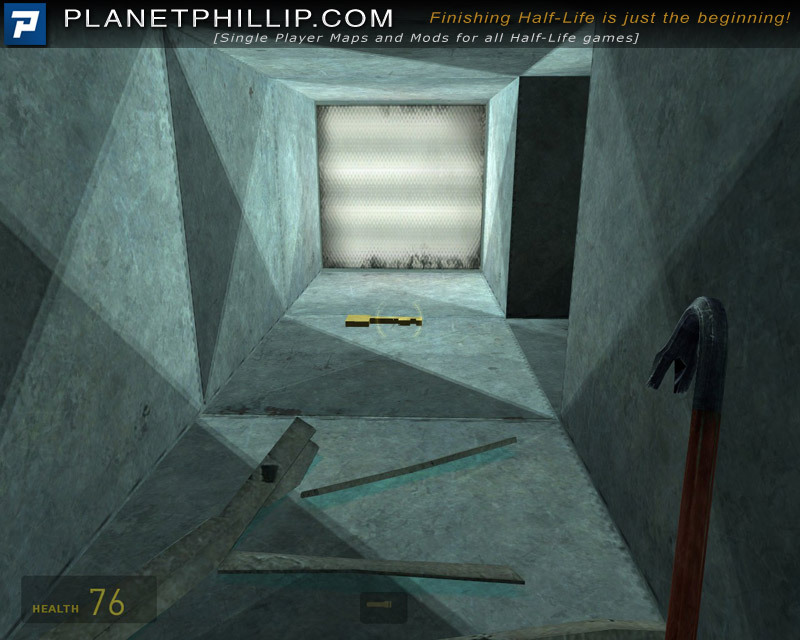 Even though I don’t map I image making puzzles that are part of the environment must be really hard. Oh, my other singleplayer maps are here as well. Guess I have some reading to do now. Right now I seem to be naming maps by adding a random chemistry-related word to gm_cool. I started out making maps for Garry’s Mod and the gm_ prefix just kind of stayed with me. I know I probably shouldn’t use it for ep2 maps but I am using it anyway. Mostly fun. I hated the tile puzzle. So after trying various solutions I didn’t mind looking at the screenshot here. So I solved it, and *then* found the clue in-game. The other puzzles were fine or kind of fun. 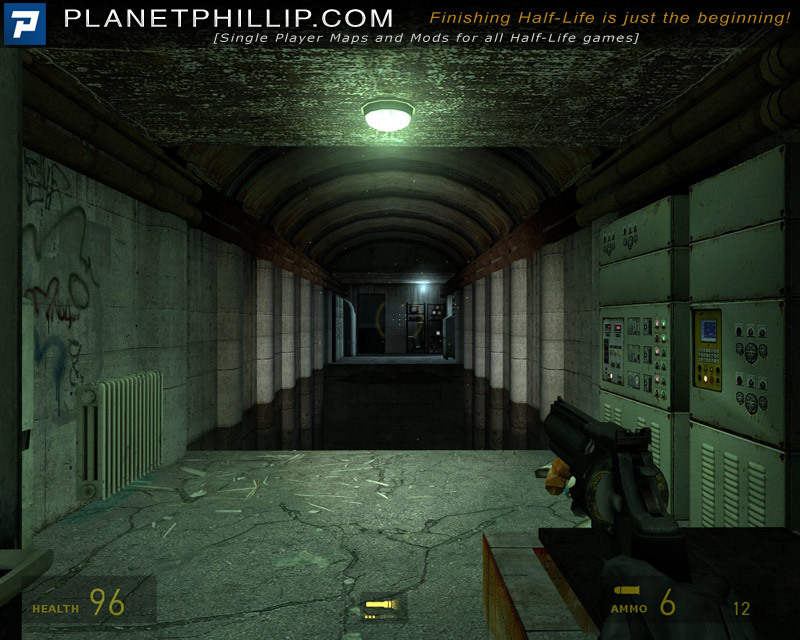 Virtually the only combat is at the very beginning, except for some manhacks. So if you really want combat, don’t play this. If you want some puzzles, play it. I absolutely loved playing this map. While I like fighting, and there was just enough to get me going, I really liked the feeling of having to figure out what to do. Definitely the single best acid-pit puzzle EVER. I didn’t take the gnome with me, I’ll have to do it again and see what’s up with that 😀 And, I used the manhack expertly for the rope puzzle, that felt like an accomplishment. All in all, this is a puzzle-lovers map. Very clever, I like the ending, as it feels like an “ending” instead of merely a fade-to-black. Well as I said, i’ve started my own Miigga-thon event, which means to play ALL miigga’s maps that I haven’t played so far, and I am staringt to like this idea of mine! This one was just short sweet and pretty map, with a really especial taste that only miigga knows how to build. 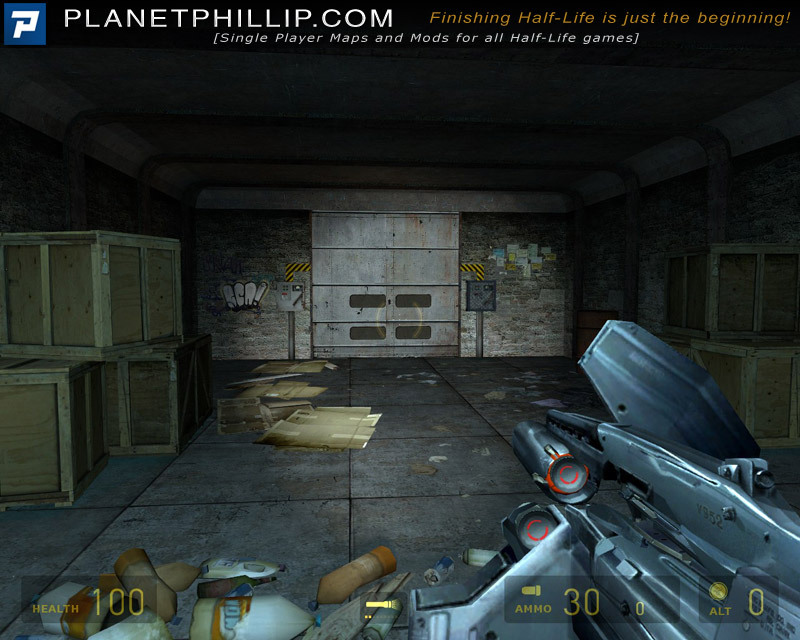 was the perfect lenght combination between puzzle and combat which makes a map fun. Here in this map, I had like allways, the feelling that I am like in one mini mod and not just one uniform map. 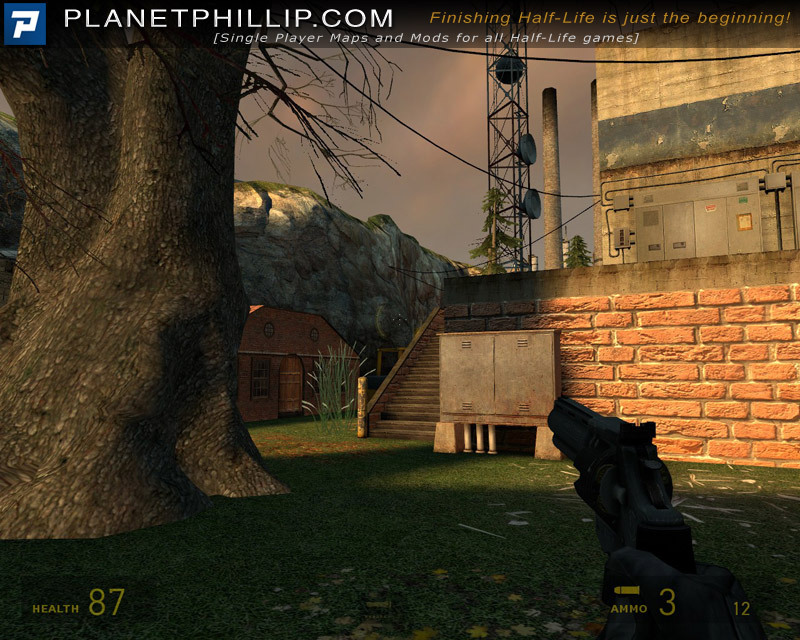 That’s maybe because in miigga’s maps we allways will found pretty well marked divisory areas within just one map. which is allways interesting because this little secret make miigga’s maps fun, and not just uniform-linear maps at all. I allways have liked that, I mean that mapping layout touch in Miigga’s maps, and here that especial layout touch is not the exception. 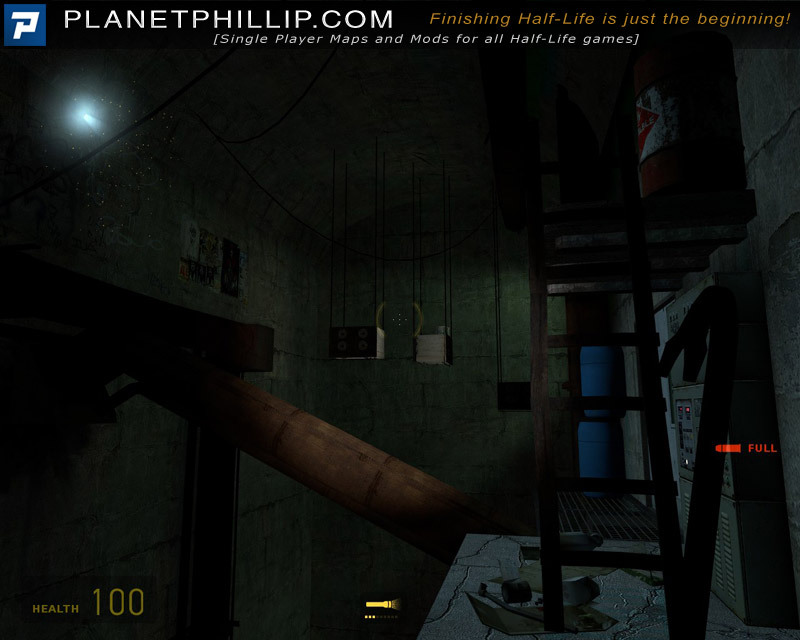 Overall this map is perfect to rest from the recently “longest-never ending” mods launches we’ve had in this days, as I said the cool combination between clever HL puzzles and HL combat, here I think the puzzling part outweight the combat, but that not oversaturate the mod dynamic neither is just a fair well done balance. 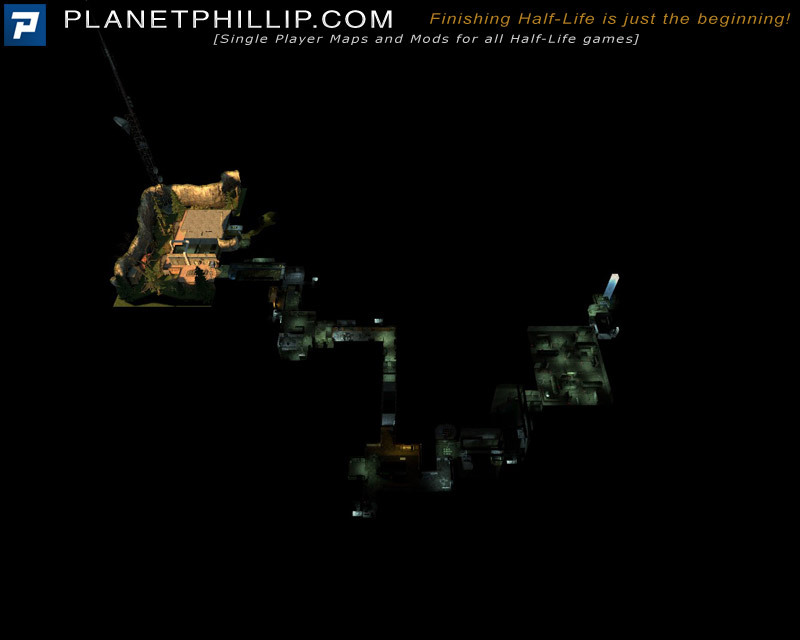 So this is almost-only-puzzle map with less combat but therefore quite many puzzles. I have a lot of (negative) things to say that’s why I just give it a “maybe?”. Proof me wrong, but if this was Miigga’s first map, it’s quite good and worth playing if you like puzzles. 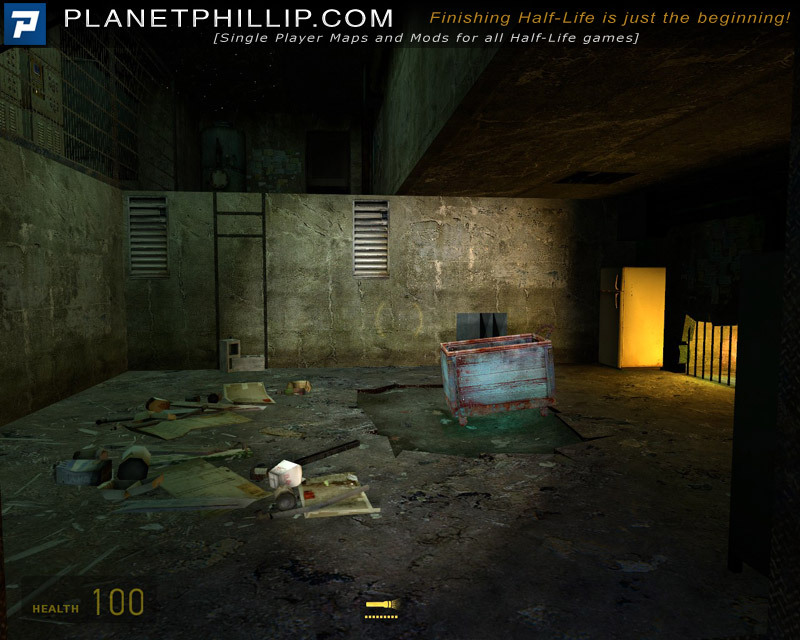 I’m not sure whether or not it really was his first map (at least for HL2 !?) but it feels like that, as there are some oddities here and there.. The puzzles are from different difficulties and some are very cool, but also some are just ridiculous. Maybe if the author would have increased the difficulty step by step in the meaning of changing the order it would’ve been better, who knows? The other thing is that some puzzles are just looking like taken from an point & click adventure game..
To shorten it, if you like puzzles – go play it. If you don’t, leave it. Nice map, but I think the comat part could have been left out. 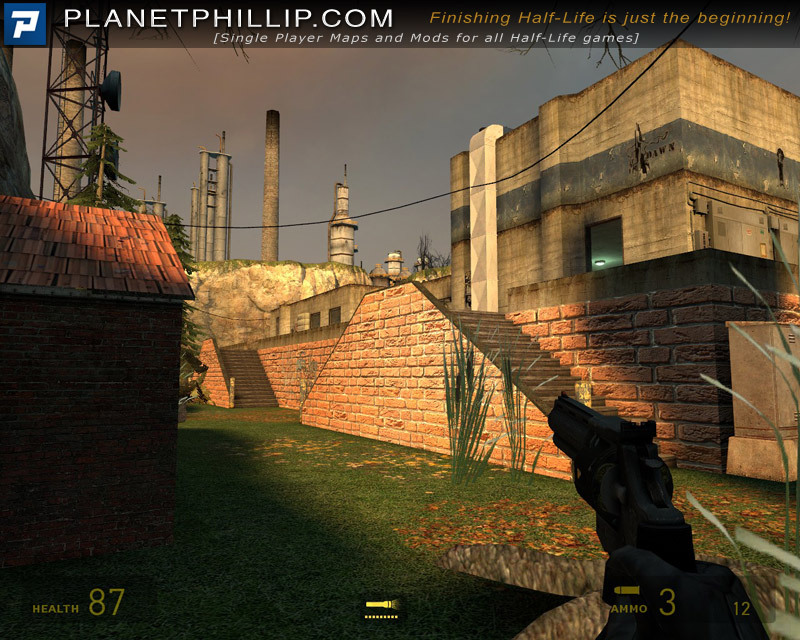 In the beginning you think its a tough combat map and afterwards it get a row of puzzles without real sense. 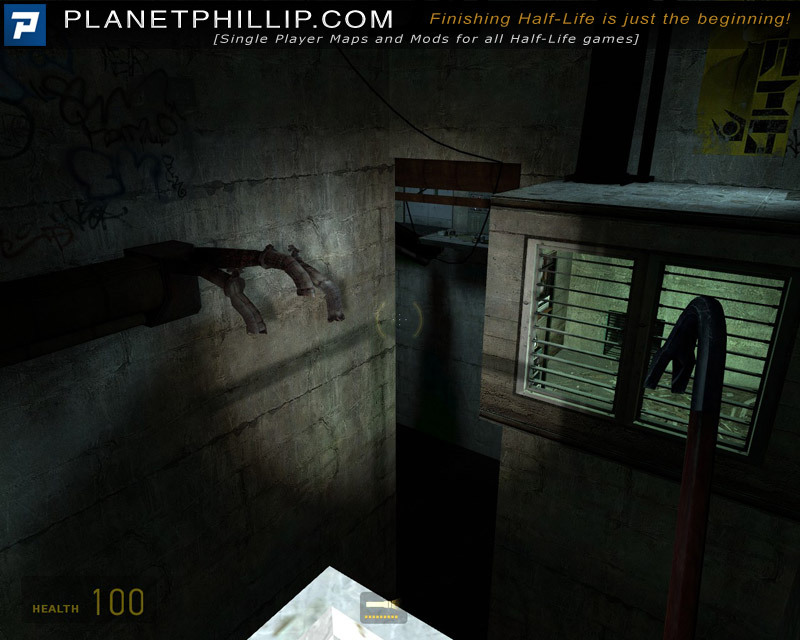 I really liked the puzzles and the map at all, but some more sense to the whole thing would have been nice. This isn’t the brightest of the bunch but it’s got interesting stuff and it’s worth a play. 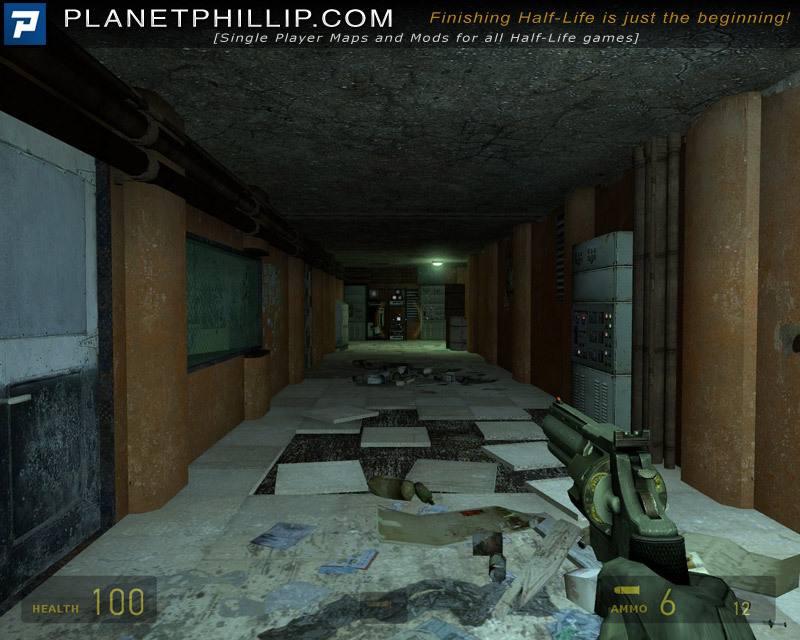 It feels unfinished somehow, bad AI in the beginning and weapons with no use throughout. 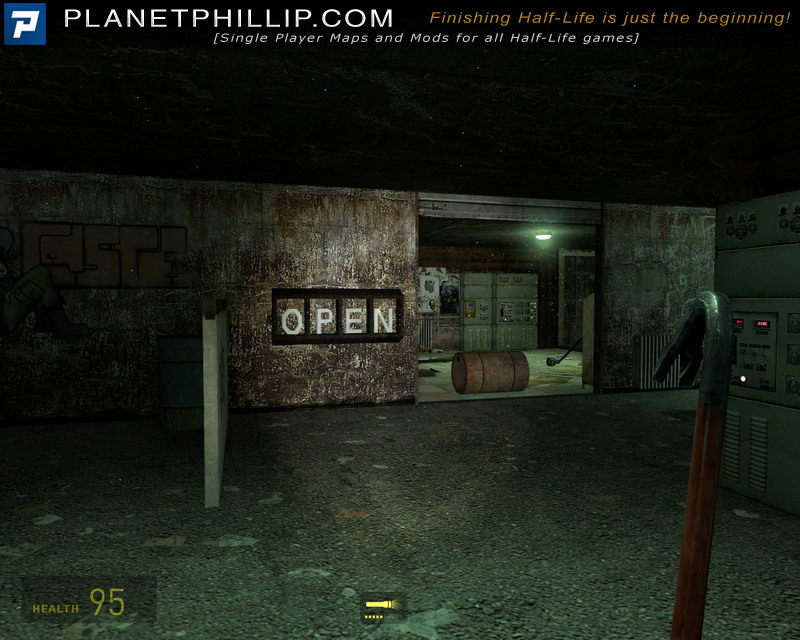 The puzzles remind me over and over how good a mapper he would be for hl2dm co-op puzzle game mode, except the pit one cus it’s long, tedious and hard to save through (I thought everyone hated that?) 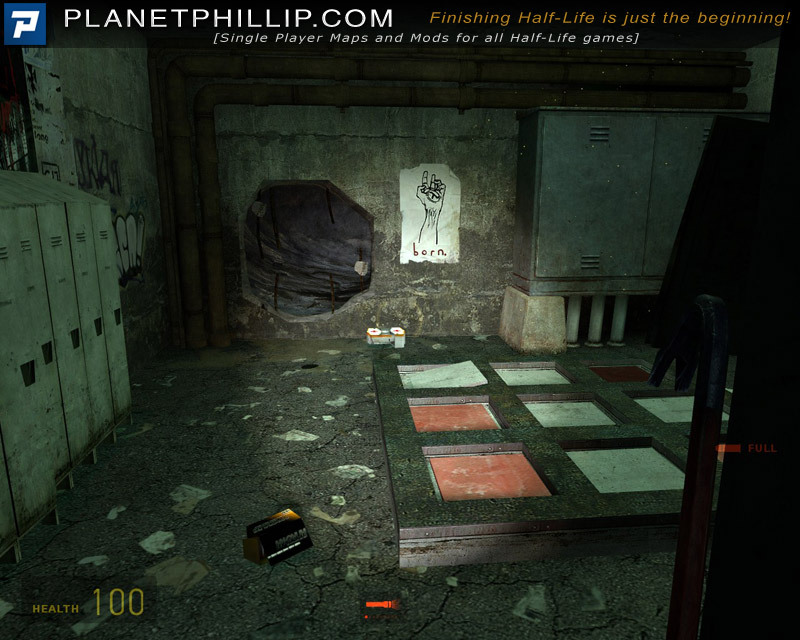 and the tile one that has no apparent solution, so thanks to PP for including a spoiler in his screenies. This is a really good (mostly) puzzle map. There’s a few Combine Soldiers and Manhacks to fight, mostly in the outside portion of the level at the start. That part is pretty nice visually but there’s some pointless buildings since you can never open them. They just sit there doing nothing. 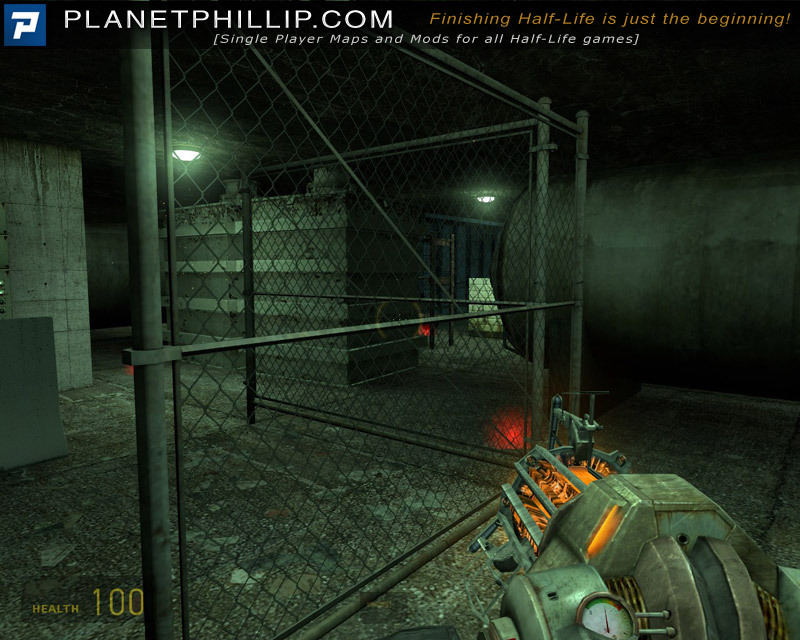 Other than this area, the environment actually reminds me quite a bit of Black Mesa from HL1. It’s very interesting and fun to navigate. The puzzles are mostly finding things. They’re hidden well and fun to find but they’re not as good as, say, The Sprucecape Mappack. 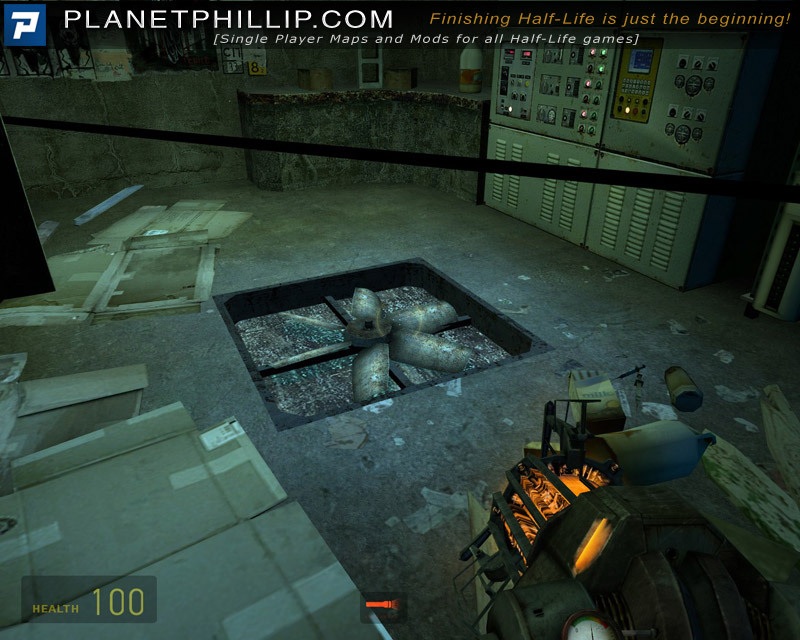 There’s also a part where you have to step on small blocks across a pit of toxic waste that appear and disappear. 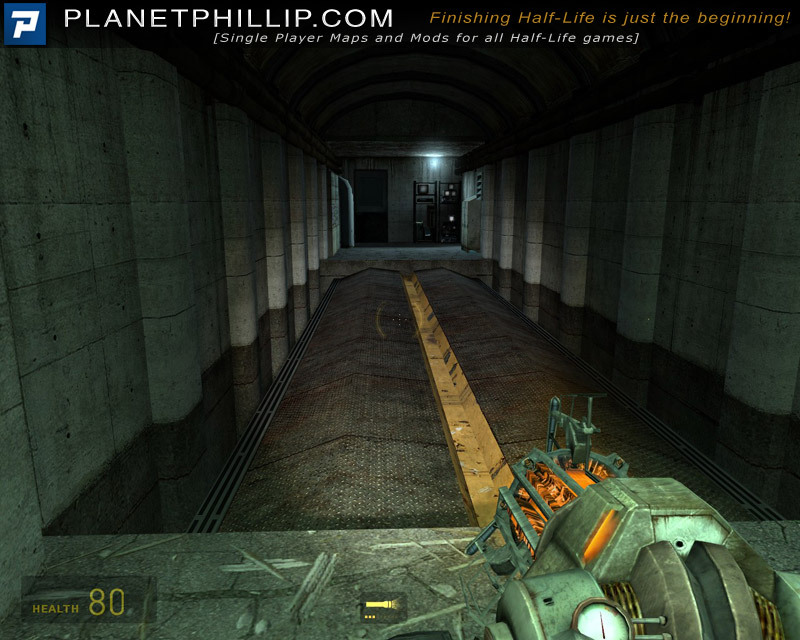 It’s kind of like Mega Man without the platforming since you just have to walk across them, pretty creative since I’ve never seen it before in HL2. I also like that you can bring Little Rocket Man with you to the exit and it will say “Thank you for taking care of the gnome” at the end. I don’t know if it still does this if you don’t have him since I did take him the entire way. I would certainly recommend this map. Where’s the gnome? I just played and finished this nice mod and wanted to take the gnome with me, but could not find it 🙁 Please help me and tell me where the little rocket man is hidden. 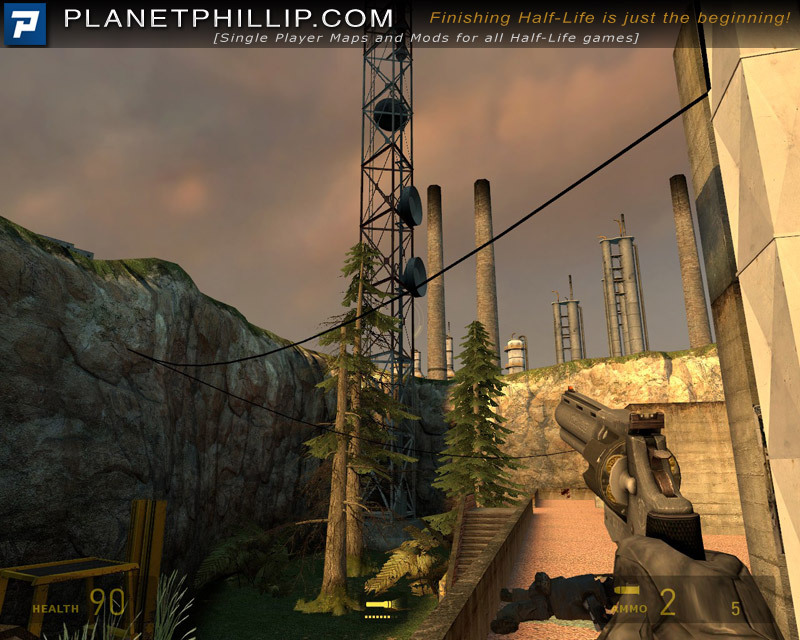 This map seemed to me more like a demo than an actually finished game. The puzzles were easy but tedious and not linked to each other. The lack of combats was not a problem for me. I didn’t find any gnome, but i don’t think it would have make any difference. It looks like this is your first review of Miigga’s work. 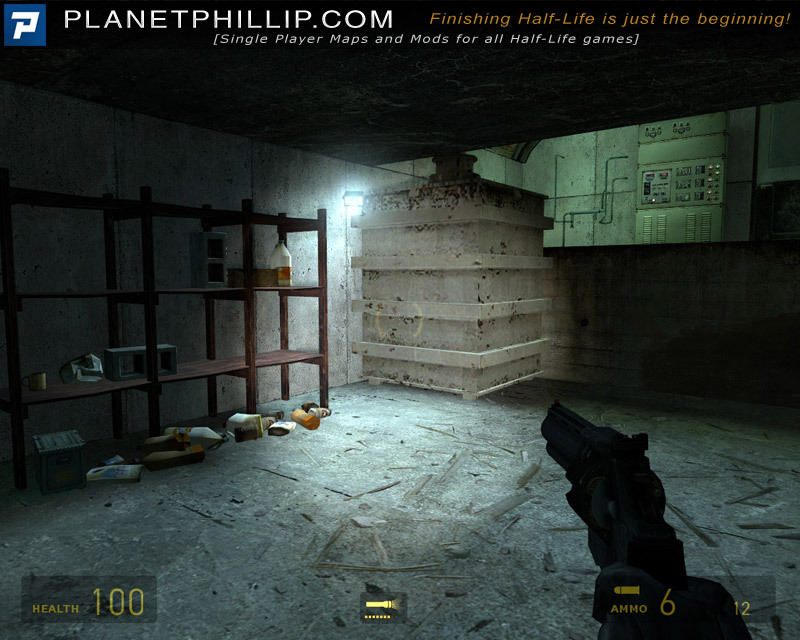 He tends to release short, beautifully lit maps that are often simple-puzzle based with some combat. He doesn’t normally create large environmental puzzle and generally sticks to abstract ideas. Once you know that most of his work is this sort of thing you either play and enjoy them or you avoid them. 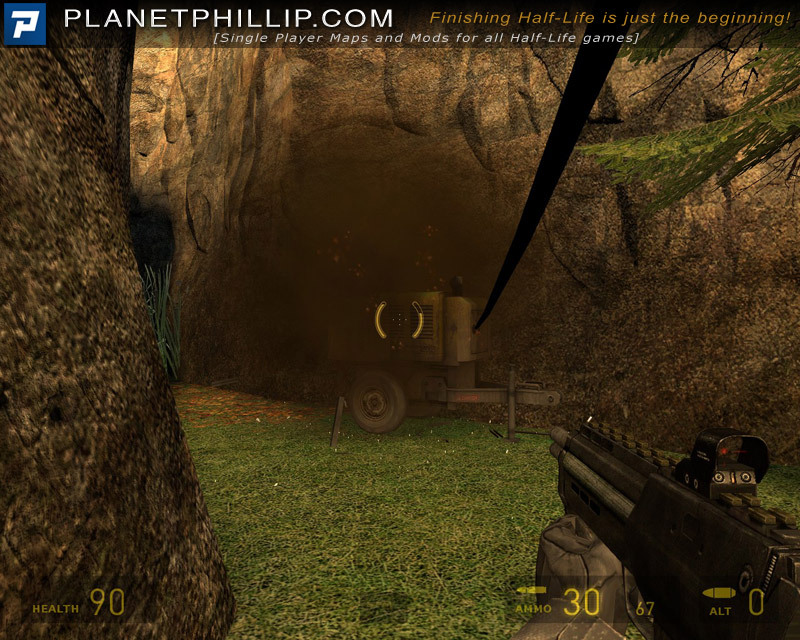 Many people come to this site expecting long, story-driven mods but the reality is that most release are just short 15-30 minutes stand-alone ideas. I’m not criticising your review or point of view but new reviewers on the site can often be spotted by harsher reviews than most others. Your Whoopservatory review is a case in point. Over time, I am sure you will begin to find authors that suit your style of play and expectations, it just sounds like Miigga might not be one of yours.